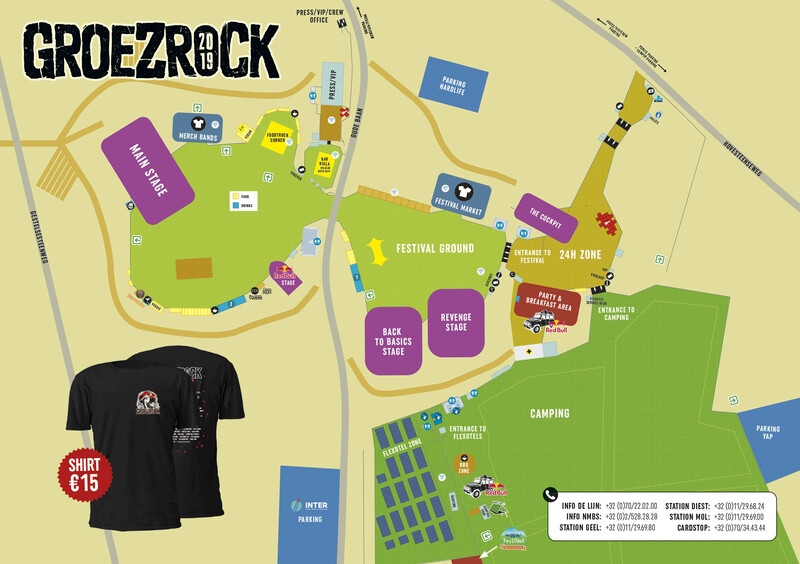 Please follow all indications to the Groezrock parkings - it's not allowed to park your moto next to the roads in the environment, you will be fined and the moto will be towed away. It's not allowed to set up your tent at the parking area or to sleep on your moto. You can park your moto close to the parking entrance. 1. Park your moto at the normal parking and pay €15 per person for the camping on top. Make sure you order these camping tickets in advance with your festival ticket. 2. Park your moto at the camper parking and pay €15 per person for the camping on top. In this situation you can sleep close to your moto but you need a camper ticket as well. Make sure you order these camping & camper tickets in advance with your festival ticket. €10 Payable at the parking-site, not possible to order in advance.